SEGA is holding a special PSO2es campaign to commemorate reaching 300,000 downloads. Login to PSO2es during the campaign period to receive prizes! Items are given based on the number of days you login during the campaign period. If you login everyday, you can achieve the 7th Day login bonus. You can pick up the rewards in the mailbox. The ARKS Museum is now accepting entries for its third Character Portrait contest. Take a picture utilizing the [Character Portrait] feature on your PlayStation Vita for the three contest divisions. Costume Division: Submit a picture of a character wearing a costume like the Lillipan Suit, Rappy Suit, etc. Male Division: Submit a picture of a male character. Female Division: Submit a picture of a female character. One picture intended for the contest. Characters saved as Character Portrait Data or Partner Character NPCs. Personally identifiable information such as a person’s entire face and body should be avoided in the photograph. Even if you are photographing a person in a way that does not make their identity known, you must obtain consent from that person before submitting it into the contest. Please take a screenshot with your character and their player ID overhead. The picture should be taken in a location where the Player ID is clearly visible. Use the Left Stick in Character Portrait to move the character. Use the Right Stick to rotate and adjust the size of the character. Use the arrow keys to tilt the character. In Pose Settings, you can select your character’s pose, facial expressions, and equipment. In Speech Balloon settings, you can change the speech bubble, the message contents, the symbols, and justification style. Works submitted should be unpublished works made by the contest entrant. Please refrain from making edits to the image like cropping and such. Submitted works should be a JPEG file up to 1MB in size. Pictures must be taken in the landscape orientation. The work must be submitted only through the entry submission form. One entry per division for each person; meaning one person may enter up to 3 entries, as long as ONE entry is submitted for each contest category. (1 x Costume) + (1x Male ) + (1x Female) per person. If you submit two or more entries for one contest division, only the last submitted entry for that division will be counted for the contest. One entry per person allowed. When you submit two or more entries, only the last entry is counted for the contest. Any last minute edits or changes will not be accepted after the entry period is over. You must get permission from the person in your photograph before submitting it into the contest. 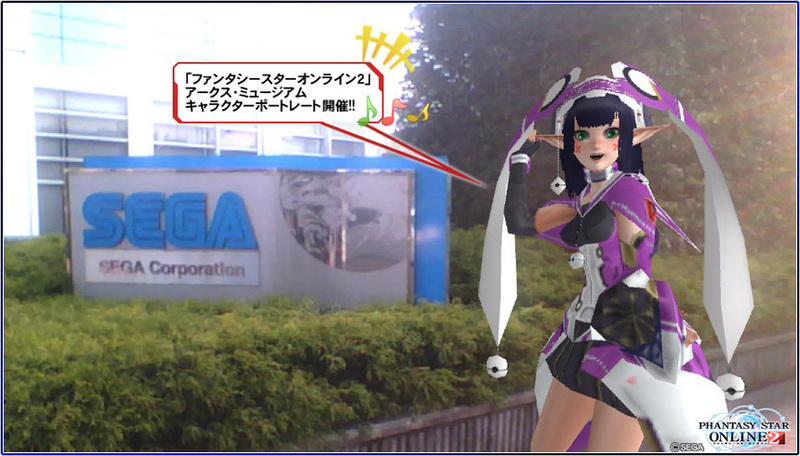 Sega may edit the works in someway. Clear Xie and Revelle’s client orders to earn several items! June 4th until June 11th’s maintenance. June 25th at the Visiphone after maintenance. Phantasy Star Nova Details Coming To The Phantasy Star Festa 2014!